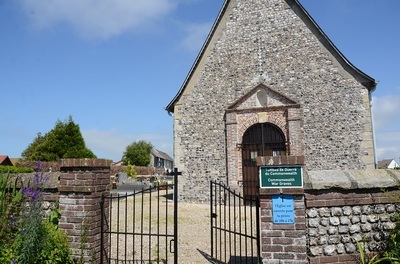 Belleville-sur-Mer is a village 7 kilometres north-east of Dieppe, on the by-road from Dieppe to St. Martin-en-Campagne (D.113), and about 2 kilometres north of Graincourt, a village on the Dieppe-Eu road (N.25). 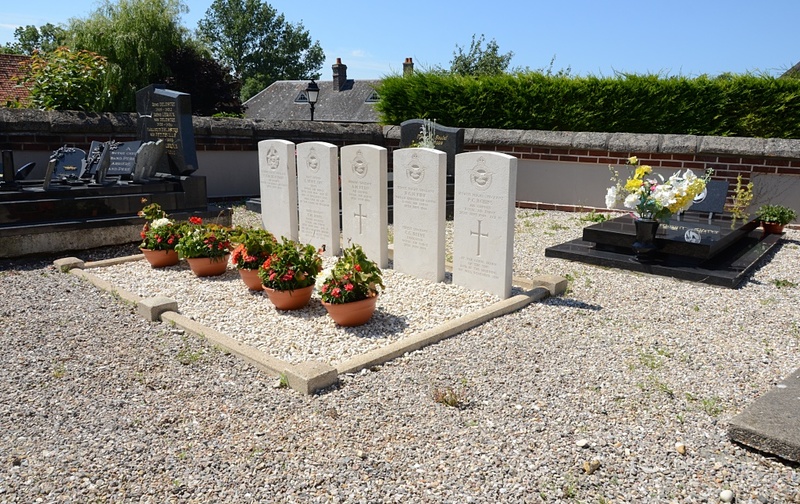 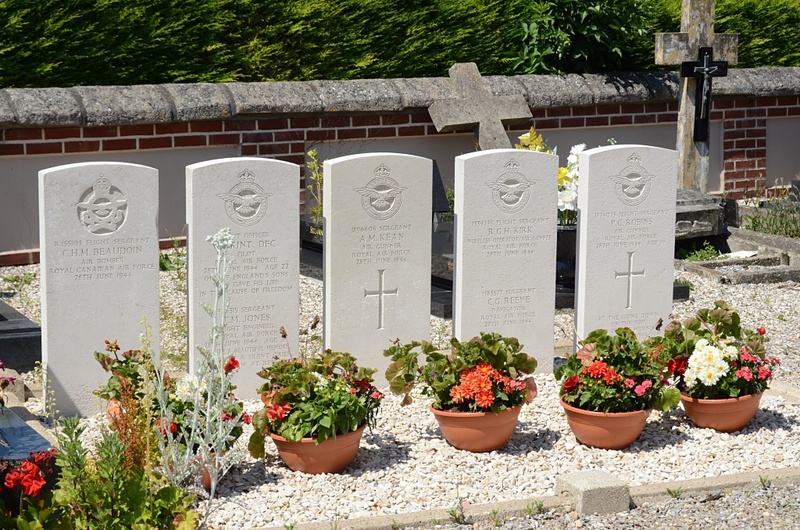 In the churchyard, near the west door of the church, are the graves of 7 airmen. 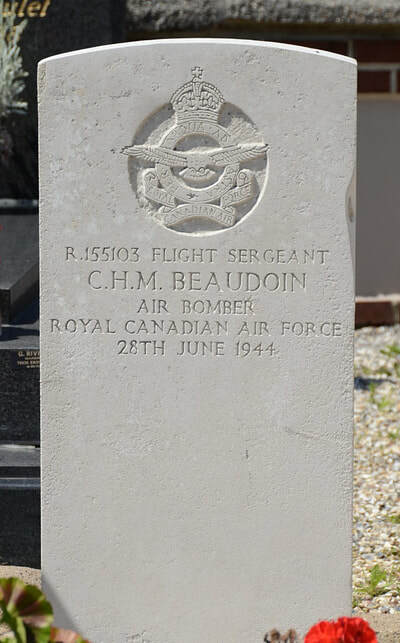 R/155103 Flight Sergeant Charles Howard Michael Beaudoin, Air Bomber in 166 Squadron, Royal Canadian Air Force, died 28th June 1944. 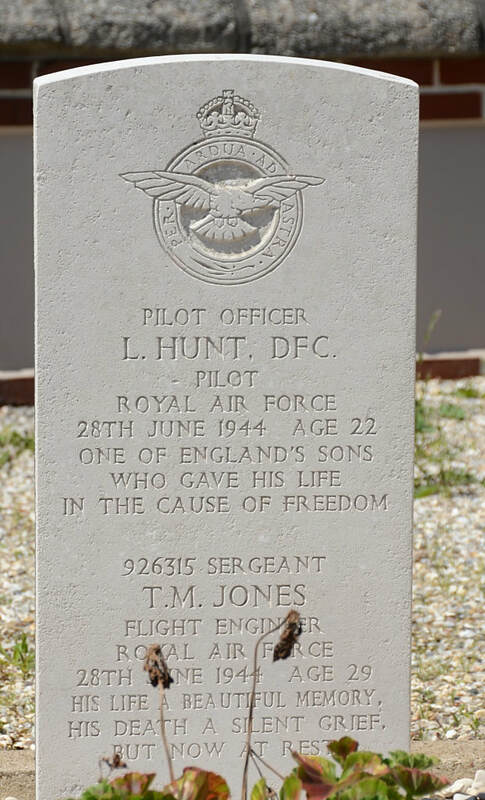 172474 Pilot Officer Leonard Hunt, D. F. C. Pilot in 166 Squadron, Royal Air Force Volunteer Reserve, died 28th June 1944, aged 22. Son of Albert and Elizabeth Emily Hunt, of West Drayton, Middlesex. 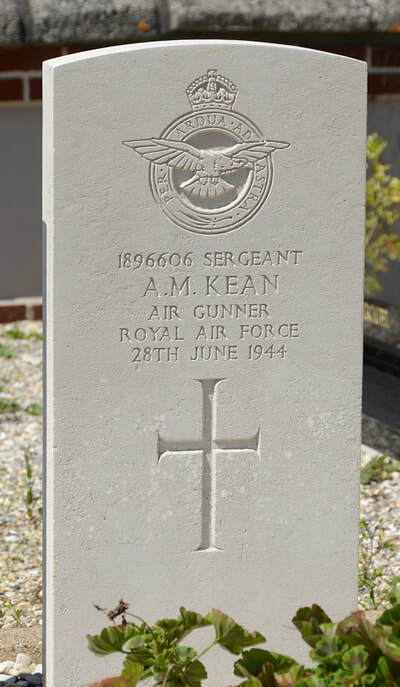 1896606 Sergeant Augustus Martin Kean, Air Gunner in 166 Squadron, Royal Air Force Volunteer Reserve, died 28th June 1944. 1334735 Flight Sergeant Ronald George Henry Kirk, Wireless Operator/Air Gunner in 166 Squadron, Royal Air Force Volunteer Reserve, died 28th June 1944. 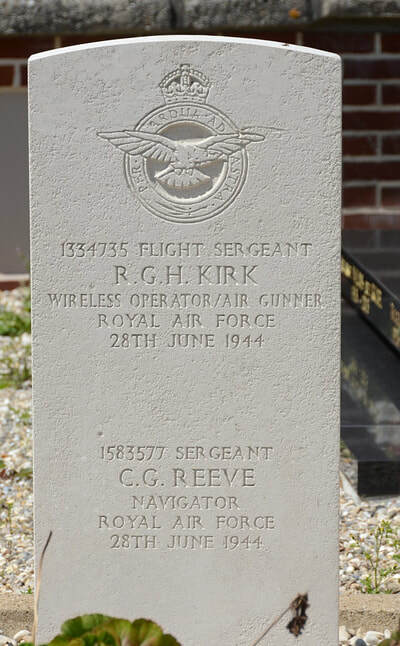 1383577 Sergeant Charles George Reeve, Navigator in 166 Squadron, Royal Air Force Volunteer Reserve, died 28th June 1944. 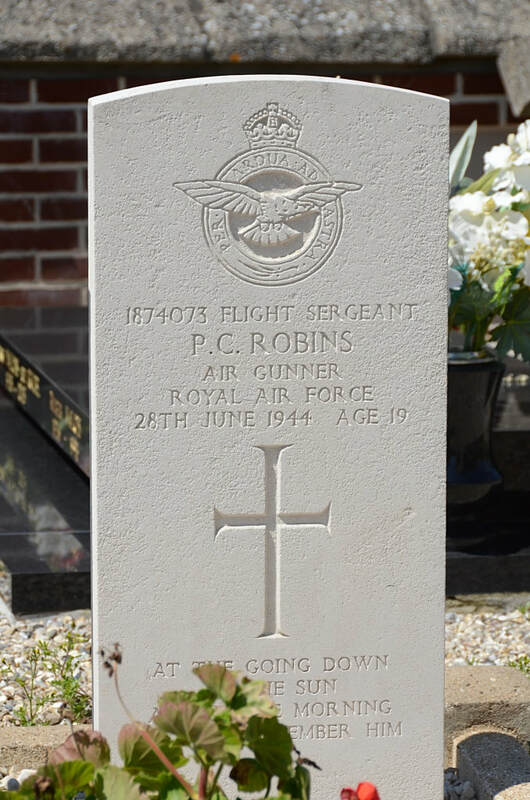 1874073 Flight Sergeant Peter Cyril Robins, Air Gunner in 166 Squadron, Royal Air Force Volunteer Reserve, died 28th June 1944. aged 19. Son of Cyril Edward and Emily Maud Robins, of South Wootten, Norfolk.